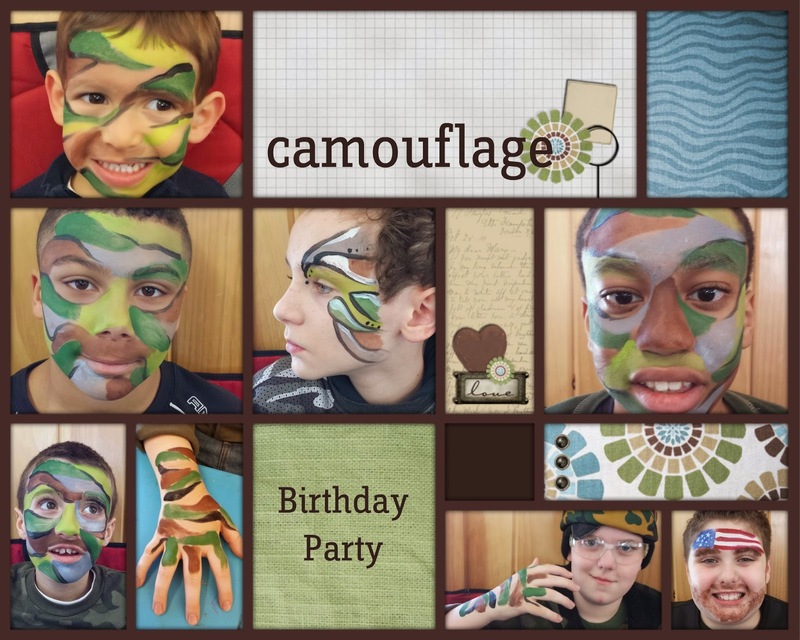 This is the first camouflage themed birthday party I've been to. 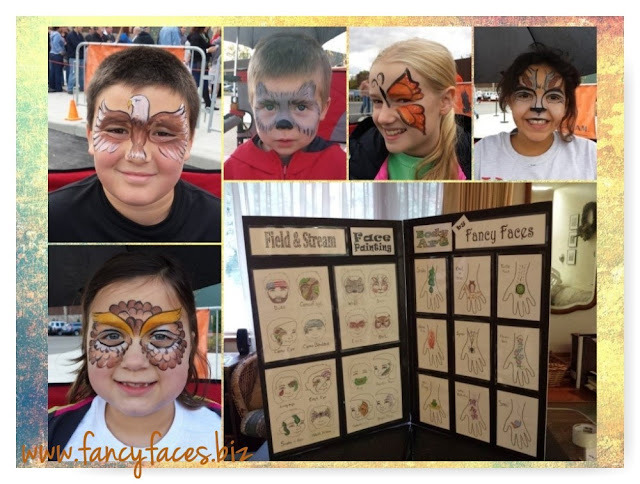 Luckily I had already prepared camouflage designs the Field & Stream grand opening I did last year. It was fun to paint all these kids. After everyone was done they went outside to play Nerf gun wars in the March snow.